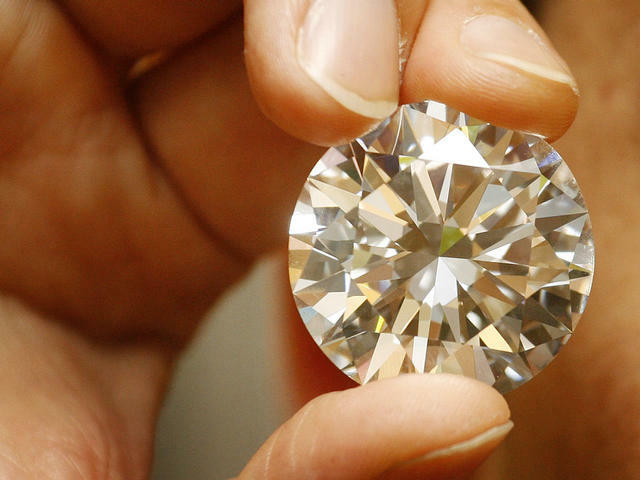 (CBS/AP) BASEL, Switzerland - Thieves stole four diamonds worth millions of dollars from a watch and jewelry fair in the northwestern city of Basel Wednesday, say Swiss officials. Some of the thieves distracted an employee at a diamond trader's stall while others swiped the jewels from glass cabinet, according to Prosecutors office spokesman Markus Melzl. "Three diverted the attention of the diamond trader's employees, while two others opened the showcase," Melzl told the Agence France-Presse. He said organizers of the annual Baselworld trade fair blocked the exits for half an hour shortly after the heist but failed to stop the thieves from escaping. "It was carried out in a very professional manner," Melzl told the AFP. According to the news agency, police are examining surveillance footage and looking into DNA evidence and fingerprints.